It’s official – the holidays are here! We hope you’re enjoying settling into the silly summer season, and are looking forward to ending off this year with a smile. We’ll be on the beach, and by the swimming pool. for the summer season, and we’re certainly looking forward to seeing some of our favourite guests and friends during the holidays. Of course, if you’ve been lucky enough to book your stay with us for the festive season, you’ll know you’ve got lots to look forward to at Anchor’s Rest! If you haven’t yet booked your Durban holiday accommodation, or are looking to avoid the vacation rush, think about taking a short mini-break in January. We do have some rooms available during January, and we’re always happy to see familiar faces. Summer always makes us a little sentimental, because it’s the pursuit of sunshine that brought us to Anchor’s Rest in 1997. Leaving our Rivonia home behind, and settling into our Durban holiday home full-time was a decision we made for our souls. Moving away from the craziness of corporate life in Gauteng, and opting for a little more sunshine (and a little less rain!) is how the story of Anchor’s Rest began. At first, we began with renting out just one room (you know it now as the Yellowwood Room), as an add-on service for a nearby B&B. Slowly, however, we fell into the rhythm of expanding our home to cater for more guests and subsequently renovated our home to become the Anchor’s Rest you know today. It took 8 months, an incredibly passionate architect, and a team of builders, to bring Anchor’s Rest to life. Since then, we’ve been so privileged to welcome people from across the globe into Anchor’s Rest, as they too set off in pursuit of sunshine. 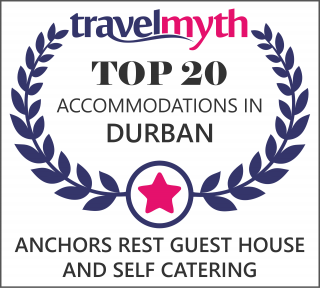 As Umhlanga’s number 1 B&B/Inn in Umhlanga (thanks to you! ), we love connecting with our guests online. You can find us on Facebook, or leave a review on TripAdvisor here. We appreciate every review and enjoy staying in touch with you, even long after you’ve returned home again. 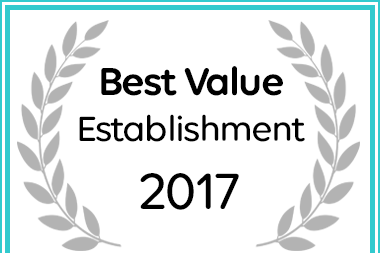 2017 has been an incredible year for us at Anchor’s Rest. We’ve watched as Umhlanga expands her skyline and as more and more people are welcomed into our village to visit. With so many new restaurants, stores, and things to do in Umhlanga, there’s no better place to be than right here.